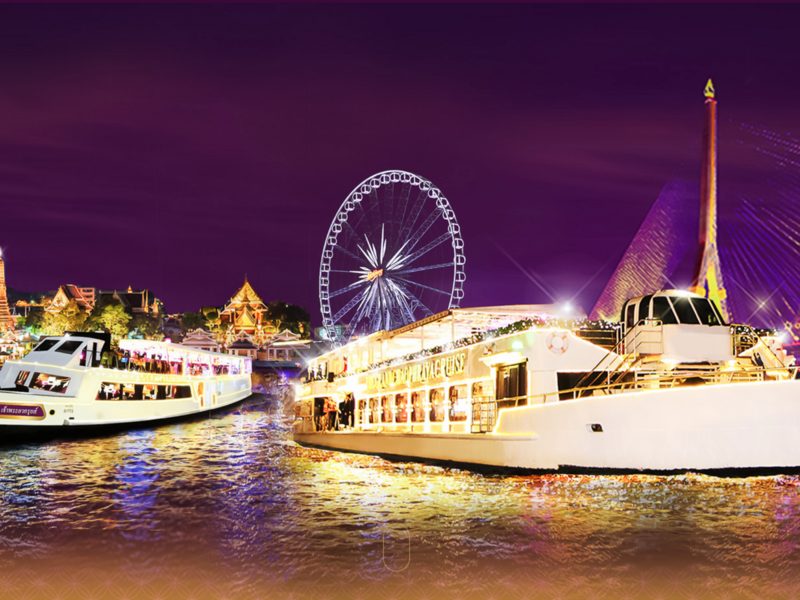 As you cruise along Thailand's most iconic river, take in the sights of illuminated Wat Phra Kaew (Temple of the Emerald Buddha) and Wat Arun (Temple of Dawn), the sounds of live music and the tastes of Thai and international delights. - We will check the available seats and confirm you within 24 hours. - This voucher are sold for foreign visitors only. - Free of charge: Children aged under 4 years. - Child rate: 4-10 years old.